Hello again! 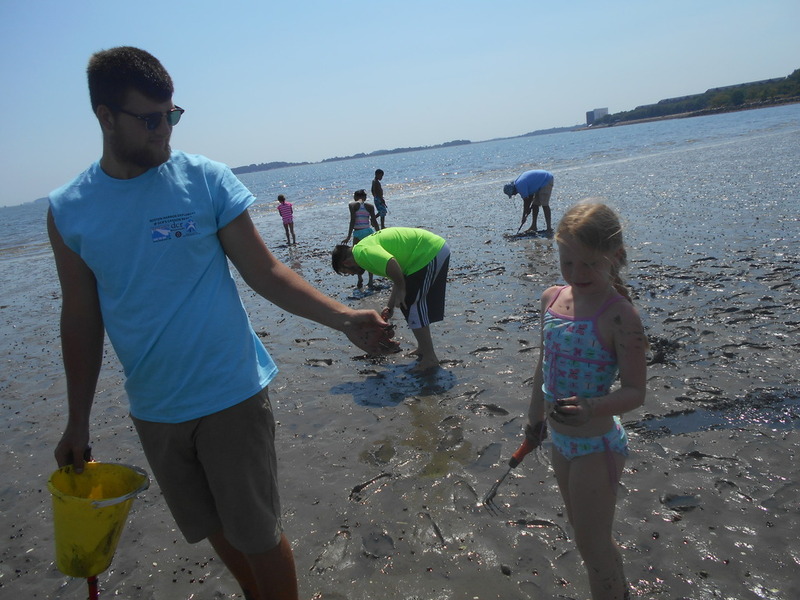 Last week on Carson we went clamming with a group so big, we needed to separate and take turns, and all the kids where so excited. 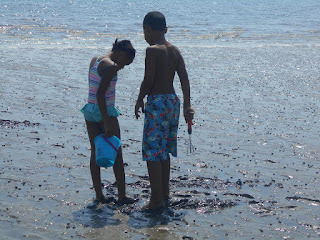 They ran up and down the beach and jumped right into clamming when they got the chance. They LOVED it. They dug up more clams than any other group so far, and they still gladly put them back when they where done. 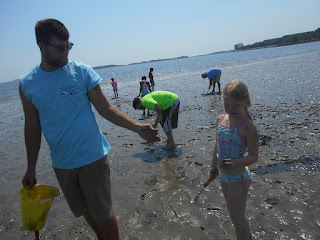 While finding clams, we also found tons of periwinkles, and even a couple crabs. The crabs were very small, and some of the kids where scared at first to touch them or even look at them. They all ran to see the crabs and periwinkles. The kids loved to look at the crabs (but not hold them) and to collect the clams. The loved everything about the activity, even the mud. For some, I think the mud was their favorite part. We are constantly having fun and learning while on the beach, and I learn just as much as the children do!